Discussion in 'Headline News' started by Mel O'Drama, Aug 10, 2018. I'm not easily moved when it comes to news stories, but I find myself welling up with every update about Tahlequah, carrying on her back the newborn calf she lost on 24th July, half an hour after her birth. The story of this pod is an example of the vulnerability of the beautiful Southern Residents. 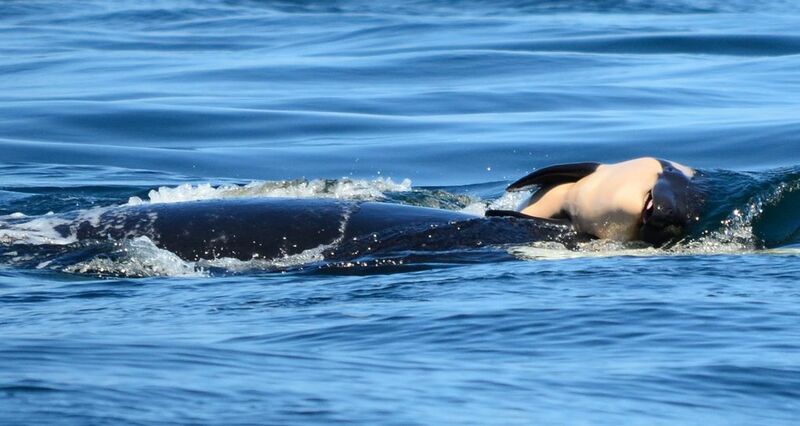 No calf born to the pod within the last three years has survived. Twenty year old Tahlequah fell behind the pod due to buoying her calf, raising fears she would struggle to hunt alone. And three year old Scarlet is visibly emaciated, with concern about her survival. Has anyone been following this tragic story?